Christmas Bells - Christmas Music and Theatrical celebration. We invite you to our Christmas celebration, with choirs and theater, on Thursday, December 20, 2018, at 8:00 pm..
Children of the Lyreio Children’s Institution honor the heroes of 1940. Dear friends, we are delighted to invite you on Sunday October 28th at 6pm. in our new "temporary" roof, at the "Zanneio Foundation", (131 Thiseos Ave., Ekali). 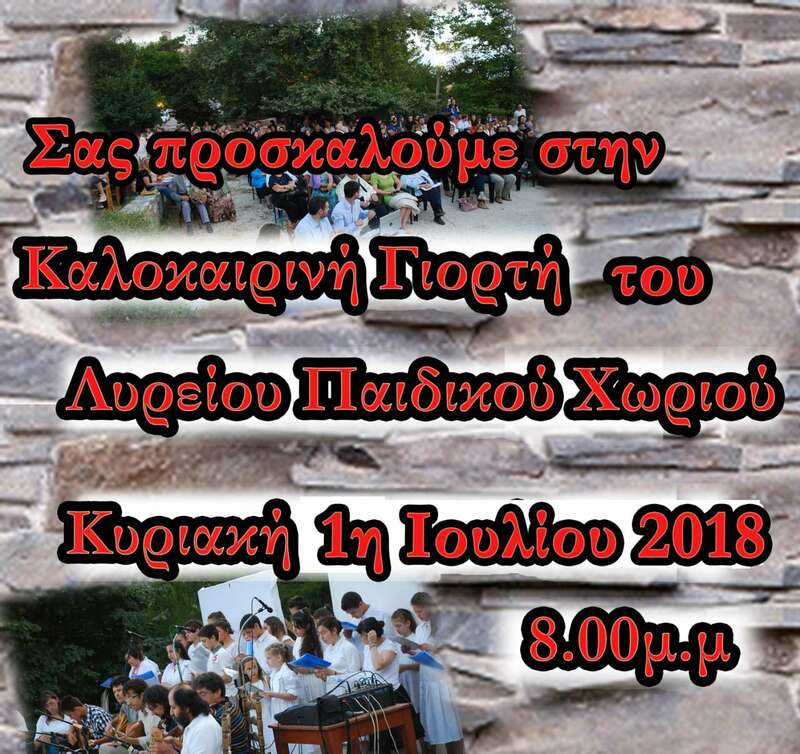 Dear friends, we are delighted to invite you to the summer celebrations that will take place on Sunday 1 July in the Lyreio Children’s Institution.